In order to prevent SIR deployment, personal injury, or unnecessary SIR system repairs, do not strike the door or the door pillar in the area of the side impact sensor (SIS). Turn OFF the ignition and remove the key when performing service in the area of the SIS. 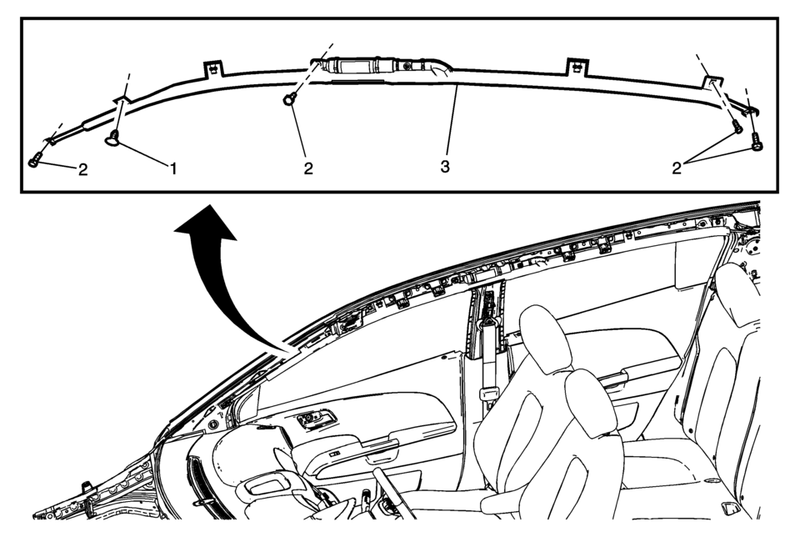 When installing the roof rail airbag, do not twist or turn the airbag 360?€‰degrees. Securing the roof rail airbag with an airbag twisted or turned 360?€‰degrees may cause the airbag not to deploy correctly and could cause personal injury. Release the integral roof side rail module retainers. Remove the roof side rail inflatable restraint module from the vehicle.